By: James E. Hughes Jr. 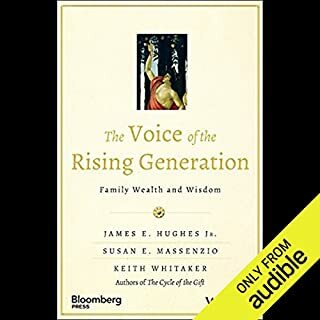 This is the landmark book that changed the way exceptional families think about their heritage, their wealth, and their legacy to future generations - now revised and expanded. Charles W. Collier, Senior Philanthropic Adviser at Harvard University, hails this as, "A masterpiece. No one is more astute than Jay Hughes about the topics of family wealth and family life." Discover a new method of managing your money outside of Wall Street using private mutual insurance companies who are redefining themselves as the heroic steward of American savings to prosper a new generation of wealth-building tools and techniques. With this book, you will learn the financial strategies that typical advisors, typical financial planners, and the financial media don't dare give. 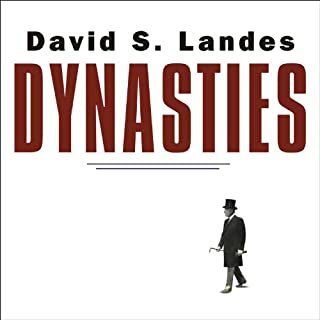 Through perseverance, solid ingenuity, and unwavering determination, family-run companies - dynasties - have dominated wealth and business throughout the last two centuries. One third of Fortune 500 firms are family owned and, in most cases, the ideal of the family business is one synonymous with continuity, watchful leadership, and dedication to success. But what happens when bad behavior, extravagance, and laziness, all very real enemies of industry, are allowed to proliferate? By: Thomas William Deans Ph.D.
With more than 1 million copies in circulation, it remains the best-selling family business book of all time. Much of its success is owed to the deeply original message about the dangers of gifting an operating business to family. It offers business owners and their family a proven process for building wealth and protecting family relationships by exploring whether the business should be sold inside or outside the family. Every Family's Business includes 12 questions to help guide this emotional transition. The internationally acclaimed author team of William Bonner and Addison Wiggin return to reveal how the epic financial bubble that is plaguing the United States will soon bring an end to this once great empire. 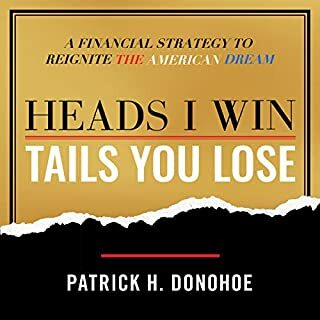 They offer a frightening look at the United States' precarious position and discuss how government control of the economy and financial system - combined with unfettered deficit spending and gluttonous consumption - has ravaged the business environment. More than 24 family businesses in the United States. employ 62 percent of America's workforce. And in Asia, Europe, Australia, and Latin America, experts say family businesses could account for as much as 80 percent of the private sector.What's different about dealing with family members than dealing with underlings and managers at an impersonal corporation? When was the last time sales for a Fortune 500 company slumped because two brothers couldn't get along? 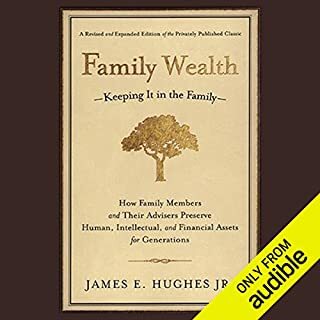 This book takes families and the professionals who serve them beyond the now widely accepted practices offered in Family Wealth and offers a view of Hughes's panoramic insights into what makes families flourish and fail. It lays out the basis for the vision of family governance the author has been developing through his work and research. His advice addresses not only what to do but how to think about the complex issues of family governance, growth, and stability and the ongoing challenge of nurturing the happiness of each family member. Advice on managing your wealth from best-selling author Bill Bonner. 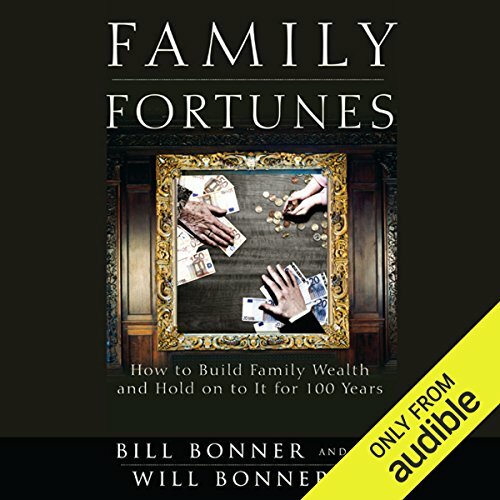 Why Warren Buffett and the rest of the rich people asking for higher tax rates are wrong to take "the pledge"
©2012 Bill Bonner and Will Bonner (P)2012 Audible, Inc. 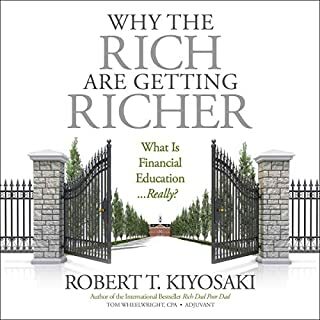 The authors embark on a quest to answer a enormously complex question: How a family can achieve everlasting wealth, but more than that how can they pass the values and principles that will assure a sustainable structure for wealth preservation and creation. I have been struggling with those questions a lot, and I have not found too many writings on the subject matter. I guess we live in the age of "right here, right now" where instant gratification precedes any sense of heritage or legacy. It is very refreshing to find like-minded thinkers that contemplate a bigger sense of ourselves. I think that multigenerational wisdom has been essential to our evolution as specie. Imagine each one of us trying to re-invent plowing or animal raising... Where would we be? However today, grandparents embark on cruises, parents work long hours, and the guidance of the youth is left to the TV set. I have a lot of respect for the authors candor and their frankness in recognizing that they don’t have all the answers. At times they even expose their disagreement on certain principles. Weather you’ll agree with the book or not, the material is guaranteed to make you think, therefore I recommend it wholeheartedly. Where is the financial advice? Indoctrination! What disappointed you about Family Fortunes? The title of this book suggests that you are going to be getting practical advice for long term financial planning for your family. Surprise! I'm now into the second hour and I have heard two pieces of advice: 1) delay gratification 2) have a big family and put them to work in the family business. All the rest was amateur right wing history, and I do mean amateur. We are not talking William F. Buckley here. If you like this sort of stuff, just watch Glenn Beck. Its free and you can save your precious book credit! What could Bill Bonner and Will Bonner have done to make this a more enjoyable book for you? Provide some actual information and advice about multi-generational financial planning. He did a fine job reading the book. Too bad about the drivel. Are you kidding me? Also, who published this? What character would you cut from Family Fortunes? I have been reading and listening to books on family wealth, trusts and dynasties. The title was promising. It has some good advice, nothing revolutionary though. Most of the book is like listening to a grouchy uncle at Thanksgiving who wants to tell you why the government and young people are stupid.It has lots of setup and exposition. A lot of predictions. Very little fact based advice. 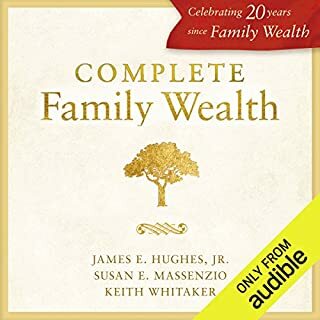 Listen to James Hughes books if you want to learn about family wealth. I REALLY enjoyed this book. I was surprised at how non-mainstream the ideas are, and also how sensible. Not everyone will want to implement all the components described, but as a family fortune grows, they will become more and more important. The long term perspective is fantastic, and could be applied to leaving a legacy in other areas besides wealth. Our family used this book as a guide to set up our family plan for stable living over the century and beyond! 9 children and love our Ranch. This book gives great advice overall in a general sense, I would recommend. For the finer points and more nuanced information for the specific topics covered I would recommend books on each individual subject, Tax, estate planning, running a family business etc..
Don't be turned off by the authors right wing bias. I was able to look passed some uninformed and outright ignorant comments by the author. Nobody is an expert in every field. 4 stars. The author repeatedly states they don’t know their own topic. Got this book by mistake in a 2 for 1 sale. Wish I could delete it from my collection. This is more of a conservative libertarian manifesto than it is a wealth building book. Nothing practical. And all the advice was anecdotal.